Serve your guests in style with this wine bottle stopper and pourer in one from True Fabrications. It features a durable stainless steel and black rubber construction. This unique pourer also doubles a stopper with a secure rubber seal to prevents oxidation while you finish your glass. 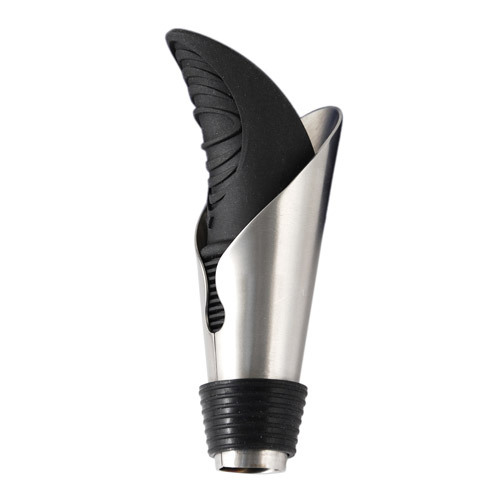 With a dripless spout and an easy to use design this pourer makes serving wine and champagne easier than ever.